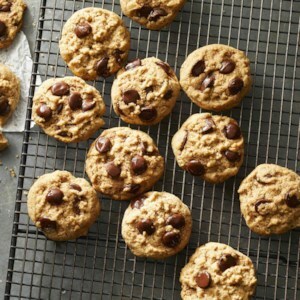 Find healthy, delicious vegan cookie recipes, from the food and nutrition experts at EatingWell. 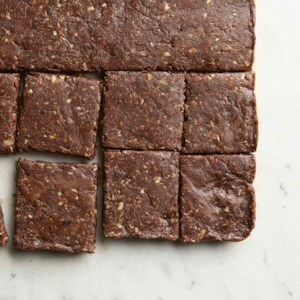 Sweetened with dates, these whole-grain bars provide energy and protein, thanks to nut butter. With just 5 ingredients you probably already have in your pantry, you can make these delicious, chewy brownies with no added sugar. 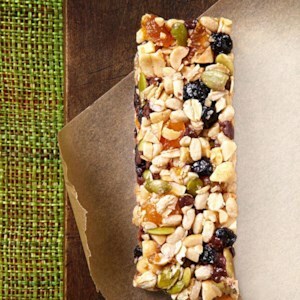 Whip up a batch as a healthy dessert or for grab-and-go energy bars for a healthy snack. 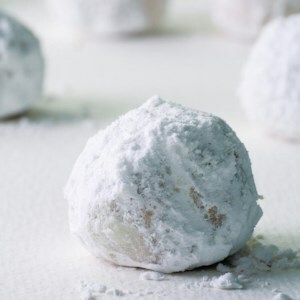 You might want to keep a copy of this recipe in the pantry beside the cocoa for those moments when you crave a chocolaty treat. 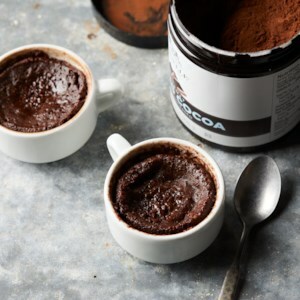 Cook this fudgy brownie in a mug in the microwave and it's ready in less than a minute! 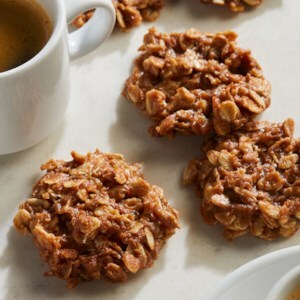 Almond butter and coconut oil melt together to bind these stovetop cookies without using any eggs. To take the flavor to the next level, try subbing in your favorite nut butter. 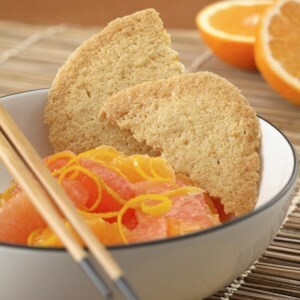 Soft, chewy and no added sugar! 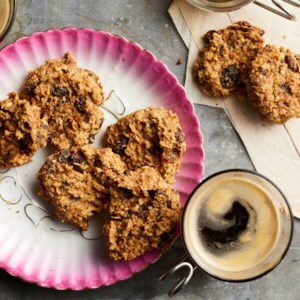 Sweeten these classic oatmeal cookies with ripe bananas and raisins or dates. 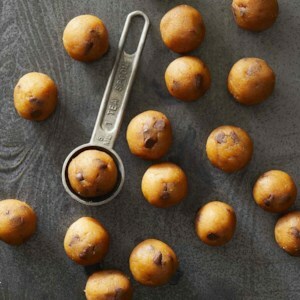 Plus, a touch of nut butter adds lots of flavor and holds the cookies together while keeping them vegan and gluten-free. 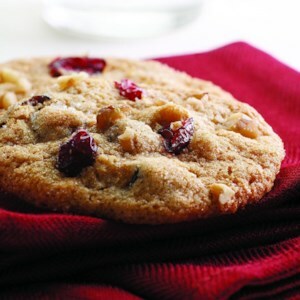 Crisp, moist and chewy, this cookie created by Georgene Egri of Walnut Creek, California, has the essential ingredients for the holidays: citrus, nuts and cranberries. 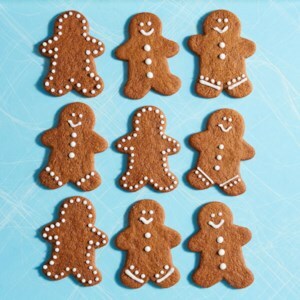 These cookies travel well for gift-giving and lunchboxes. 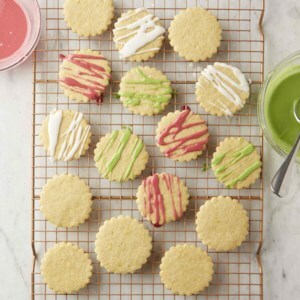 These ultra-thin, crisp cookies are a snap to make and have a fortune cookie-inspired flavor. 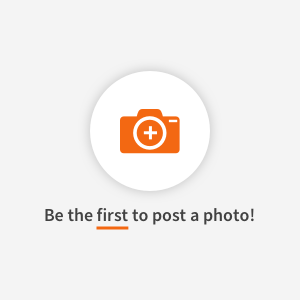 Serve alongside a homemade or purchased fruit salad to increase your fruit servings for the day while still satisfying your sweet tooth. 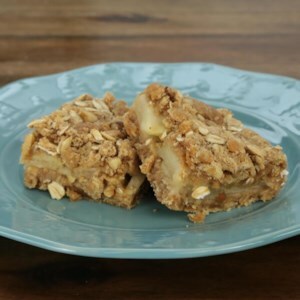 You'll love how simple these apple squares are to make. The dough does double-duty as the crust and streusel topping. 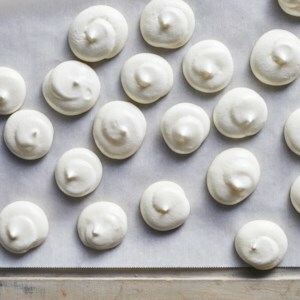 Try them topped with cinnamon ice cream. These pretty streusel-topped bars are quick to make and easy to transport. Made with unsweetened apricot preserves, they are a good source of potassium and beta carotene.